I am fortunate to have a job that allows me to meet interesting people and to travel around the country (along with some foreign destinations) from time to time. I work in the packaging machinery industry (the food you buy has to get in those boxes or bags somehow) and have been lucky enough to get to know the Cerf family; who are also in “the business” with their company Polypack. If you are an automotive enthusiast from the Southeast, then you are likely familiar with the Cerf family that hails from Tampa Bay, FL via France. Patriarch Alain, along with twin sons Emmanuel and Olivier run the company alongside their Tampa Bay Automobile Museum (TBAM) which houses a collection of eccentric automobiles that you will find no equal to here in North America. The collection is devoted to automotive engineering oddities and the unique personalities that created them. The TBAM also happens to own a very nice Allard P1. Unfortunately my company doesn’t have any customers in the Tampa Bay area so I’ve never had a good excuse to visit the Cerf’s and their collection. However, this past November, the Cerf’s and Polypack hosted the annual meeting for our industry trade association (PMMI) – this was the perfect opportunity to see their cars and hopefully test drive their P1 (see separate road test). As with most museums, the TBAM is a great place to host a party. Some of the cars were moved around to accommodate the caterers, wet bars, and a couple of hundred guests. This being a special event hosted by the Cerf’s, they gave us the VIP treatment. Are you familiar with the Fardier de Cugnot? It is the first self-powered vehicle, which was first demonstrated in 1770 by its builder Nicholas-Joseph Cugnot. The Cerf’s built a replica based of the original steam-powered Fardier which amazingly still resides in a French museum, although it is missing several bronze components that were “liberated”. The Cerf’s replica is authentic to the original, except for a few minor differences made to the boiler in the name of safety & usability – the original Fardier had a few critical design flaws because the technology was still developing. The great thing the about the Cerf’s Fardier is that it’s not a static display…they drive it! We were fortunate to get to see it go for a drive in the museum/company parking lot. Let’s just say that it isn’t fast, but it is an amazing technical achievement for a 245+ year old machine. The TBAM is a litmus test for car nuts. When you walk in, you see all sorts of beautiful cars with interesting names. A fake car nut will casually walk around, taking notice of the DeLorean or the nice Mustang and then quickly leave. A real car guy will stand in front of the 1953 Hotchkiss and try to figure out how they managed to build an aluminum front boxer engined, front wheel drive car with an integrated transmission and transverse coil spring double A-arm suspension. A real car nut will notice that the Mustang is not just any ’65 Mustang, but that it features a Ford sanctioned Ferguson all wheel drivetrain and Dunlop anti-lock brakes…no doubt where Ken Block got the inspiration for his Gymkhana 7 Mustang! There are just too many cars to highlight here, but some that deserve a close look are any one of their eight Tatra’s, the Avion Voisin - C7 Chastness (art deco masterpiece), the three-wheeled Mathis VL 333, the Ruxton, and the Gerin Aerodyne Prototype. The Gerin Aerodyne is probably my favorite car in the collection, which also happens to be the most recent addition to the collection. The Aerodyne was built in 1925 by Jacques Gerin and features a very interesting laminated wood and aluminum aerodynamic chassis. 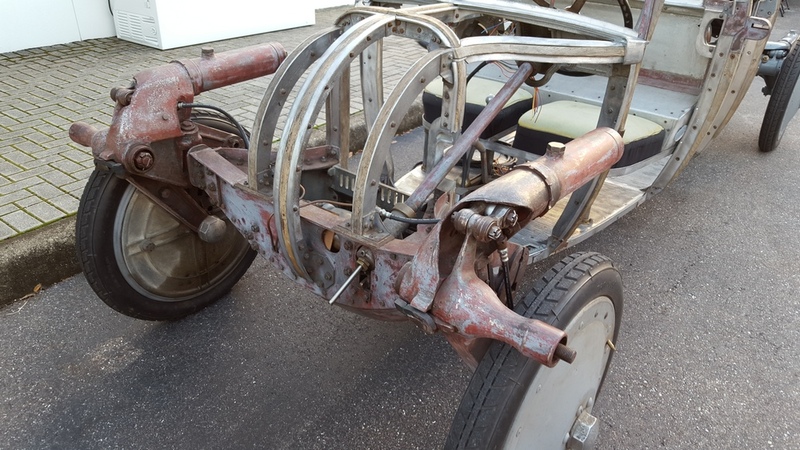 The front & rear suspension, engine, and transmission feature some very complicated castings that must have been very expensive back in 1925 for this one-off vehicle. I could have stared at the Aerodyne all day; soaking in all of the intricate details. In addition to the automobiles, the design aspect of the museum itself is a treat. Being French, it should be no surprise that the Cerf’s brought some style to the architecture of the museum. Additionally, the Cerf’s serve as patrons to the local art community and throughout the museum you’ll find a number of unique paintings and sculptures. When you visit, you may be lucky enough to run into family Patriarch Alain. If you do, take some time to ask him about their self-designed & installed 1,000 panel solar array that produces 270 kW. Or you can ask him about petrol vs. electric vs. hydrogen powered vehicles…if you have strong opinions about any of them, be prepared to earn a thing a two about hydrogen power, of which Alain is a vocal advocate. 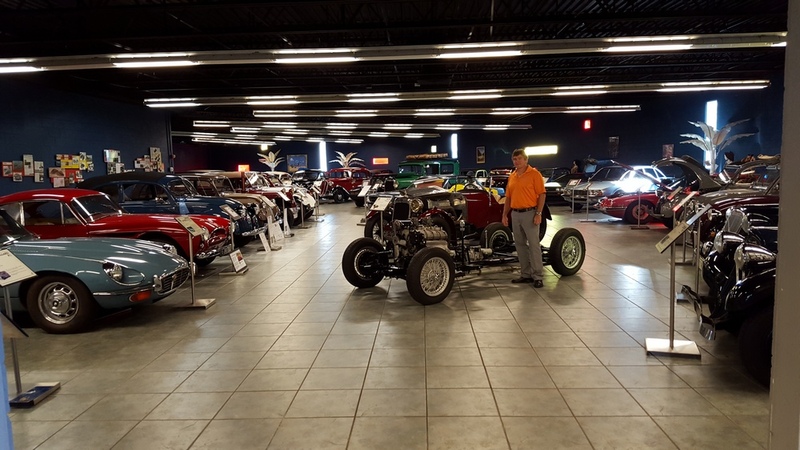 Next time you are in the Tampa Bay area, make a point to set aside at least a few hours to visit the Tampa Bay Automobile Museum…you won’t find a collection of cars like it anywhere in North America. The TBAM (www.tbauto.org) is located at 3301 Gateway Centre Blvd., Pinellas Park, Florida 33782 and you can contact them at 727.579.8226 or info@tbauto.org.